SERVPRO is always here to help. Our team is quick to respond and begin the mitigation process. We are quick to assess and get the job done right. Let us know if you have any questions about our services and what we are able to do. SERVPRO is here to help with any size loss, big or small. Our team is quick to respond and begin the process on every type of job. If you have questions, do not hesitate to call us at anytime. Our team is ready to respond, 24/7, 365 days a year. We can handle any size loss big or small. When it comes to commercial large loss, we can complete any size job from start to finish. After a water leak, the entire house suffered from a water loss in Maryland Heights. There was significant water damage. SERVPRO responded and brought in air movers to dry the floor preventing further damages. Contact us for your water restoration emergency anytime 24/7/365. 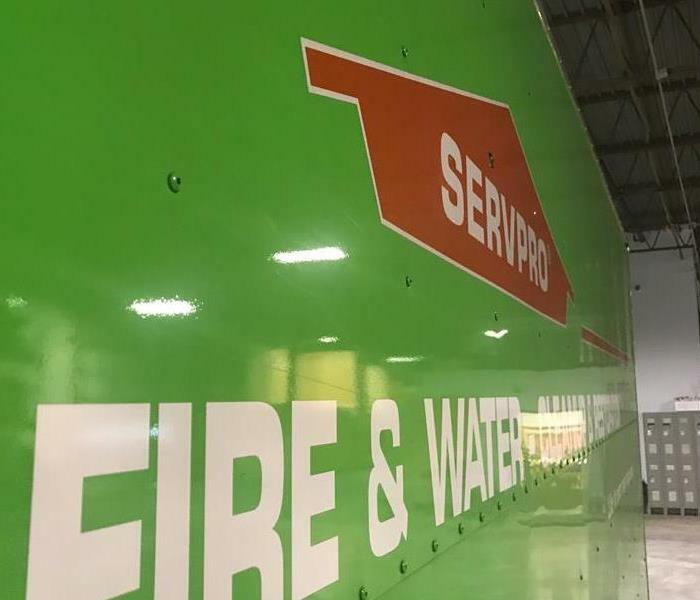 SERVPRO can respond to any type of Restoration Emergency with water, fire, mold or storm. After water damage mold can quickly spread and grow so it is important to get area dry. The technicians are trained in mold cleaning techniques to ensure your home or business is safe. SERVPRO of Northwest St. Louis County responded to this home for restoration emergency. The drywall was removed and cleaned to ensure mold would not grow after water loss. 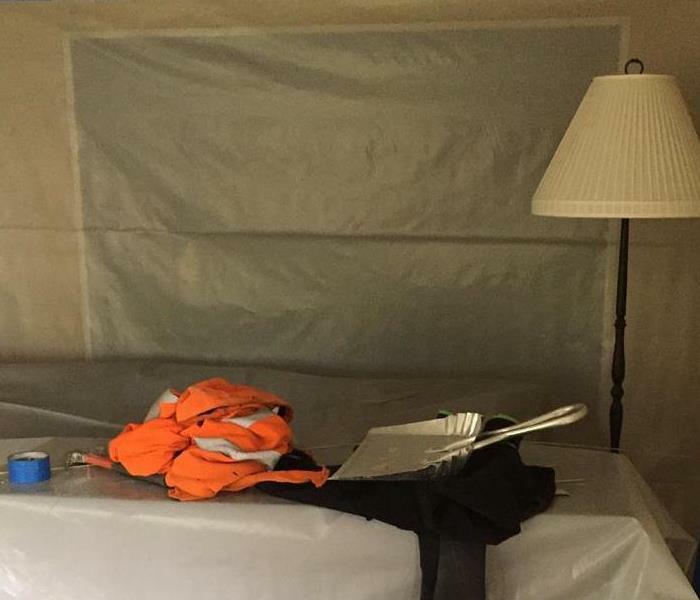 The team is professionally trained in cleaning techniques for mold remediation. 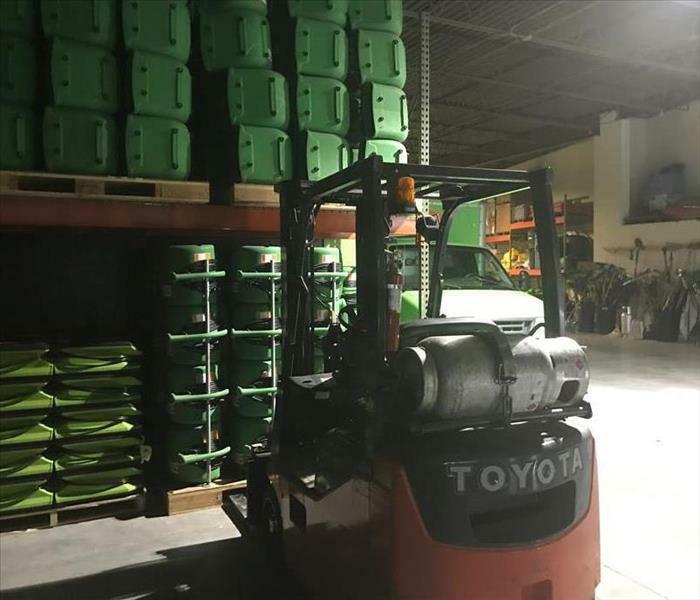 SERVPRO of Northwest St. Louis County can quickly dry your area with these air movers. The technicians have special cleaning techniques like this one with plastic to ensure quick drying times. They removed baseboards to dry the drywall that was effected by the water in Maryland Heights. This is the after picture of a laundry room with water loss. The team at SERVPRO responded and found water damage to the floor. They put down air movers to quickly dry the area to start rebuilding the room. SERVPRO responded to this home after storm damage and found water loss. The floors were effected so they tore all the baseboards and flooring out to dry. Air movers are used to quickly dry the flooring and drywall area. SERVPRO responded to a home in Chesterfield after water loss. They have the professional equipment like above to ensure the moisture in the home is removed with a dehumidifier to help in drying. They can ensure the drying process with validation. SERVPRO of Northwest St. Louis County responded to this commercial building and quickly began clean up. The technicians are trained and have the expertise in professionally cleaning. They can take a tragic time in your life and turn it around. SERVPRO of Northwest St. Louis County can respond to your commercial restoration emergencies. They have professional cleaning technicians that are trained in many cleaning techniques. We have expertise in water, mold, storm, and fire commercial restoration. SERVPRO can respond to your restoration emergency caused from fire, water, mold and storm. They are trained in many techniques for cleaning and professionally restoring your content. They have professional cleaning techniques to restore electronics as well. This is the process of cleaning up after fire loss to a home in St Louis. 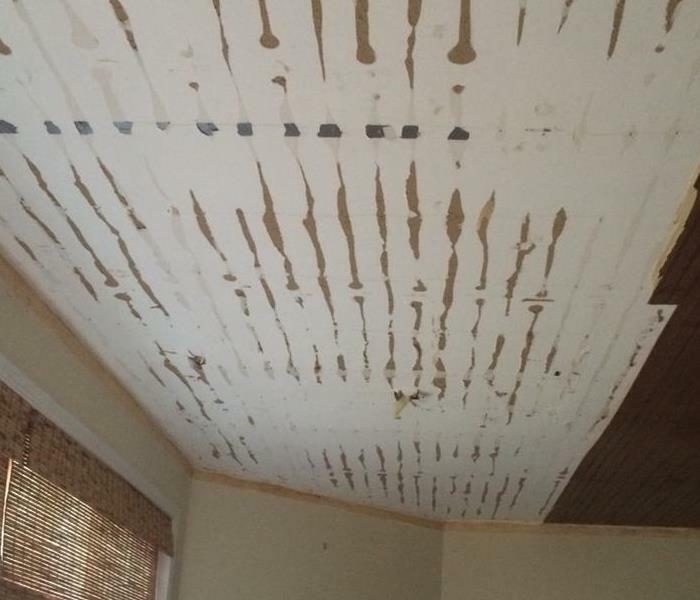 SERVPRO responded to find damages in many rooms and began ripping down drywall and using professional cleaning techniques to remove smoke damage. SERVPRO of Northwest St. Louis County responded to this home after fire loss. The technicians are highly trained on techniques for cleaning after fire and water loss. This is a picture of them professionally cleaning effected area. There can be significant damages after a fire loss. The team at SERVPRO can access your damages and use their fire trained expertise to restore your home. They are trained in many areas and can recover as much property and content as possible. Severe storms can occur anytime and very unexpected. The team at SERVPRO can respond to your home quickly to begin accessing the damage. The technicians can remove any damages and put your room back together in a timely manner. This is the aftermath of a storm in St Louis. SERVPRO of Northwest St. Louis County has the expertise to clean up after this storm loss. The technicians can tarp roofs to keep future damages from occurring. SERVPRO of Northwest St. Louis County responded to this house fire and has the expertise to restore this home. Fire causes smoke and soot damage to your belongings and we have the cleaning techniques to restore to pre-fire conditions. SERVPRO of Northwest St. Louis County can respond to your home after a fire loss. They have the right expertise to guide you through the restoration process. The trained technicians can take and restore your home back to pre-fire conditions. This is the aftermath of a garage fire in St. Louis. When SERVPRO arrived there was smoke damage and water damage from fire fighting. The technicians can quickly begin to access the situation and get clean up started quickly. SERVPRO of Northwest St. Louis County has professional cleaning equipment. They can quickly clean professionally with equipment like dehumidifier and air movers. The dehumidifier will remove moisture from the air to help with the drying process. SERVPRO of Northwest St. Louis County has the professional expertise to clean any restoration emergency caused from water, fire, mold, and storm. This is a trained technician using professional cleaning techniques to remove residue off the floor in a commercial building. SERVPRO has professionally trained technicians to restore any home or business back to pre-water conditions. 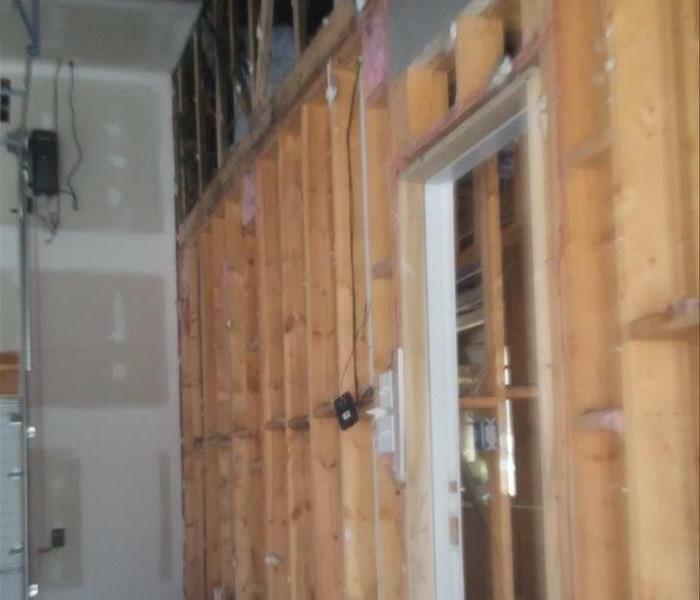 This home had the floors and drywall tore out affected by water loss. The team responded quickly and began clean up process. 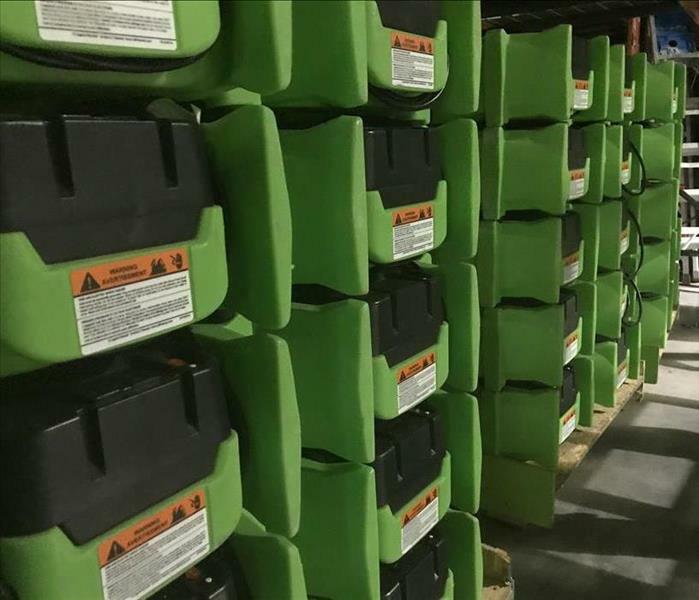 SERVPRO of Northwest St. Louis County has the right equipment for your restoration emergency clean up. The technicians have the experience and expertise to dry the area professionally and ensure validation of dry area after completed. This is the after picture of a bathroom with water loss in Creve Coeur. SERVPRO responded and quickly began extracting the water from the floor. Mold had began to grow and the technicians were quick to begin clean up. SERVPRO of Northwest St. Louis County can respond to any type of commercial emergency. This is a picture of our team cleaning water damage after water loss. Our team is trained to professionally clean the area and ensure it is dry to pre-water loss conditions. SERVPRO has the training and equipment to treat any kind of mold in your home. 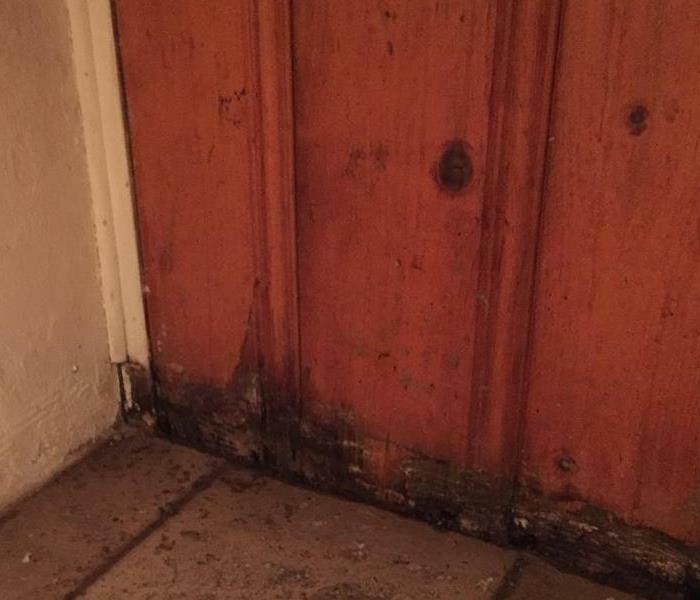 Mold can grow rapidly so we can access the job and ensure correct measures are taken to protect you and your family. SERVPRO responded to this home in Chesterfield and found Mold in the bathroom. They have experienced technicians they are trained in mold containment. It is important to have your area professionally cleaned correctly to keep from spreading throughout your home or business. This is the after picture of a sunroom after severe storm damage hit this home. SERVPRO responds to your emergency needs 24/7. They quickly began accessing the damage and sent their trained team to begin clean up. 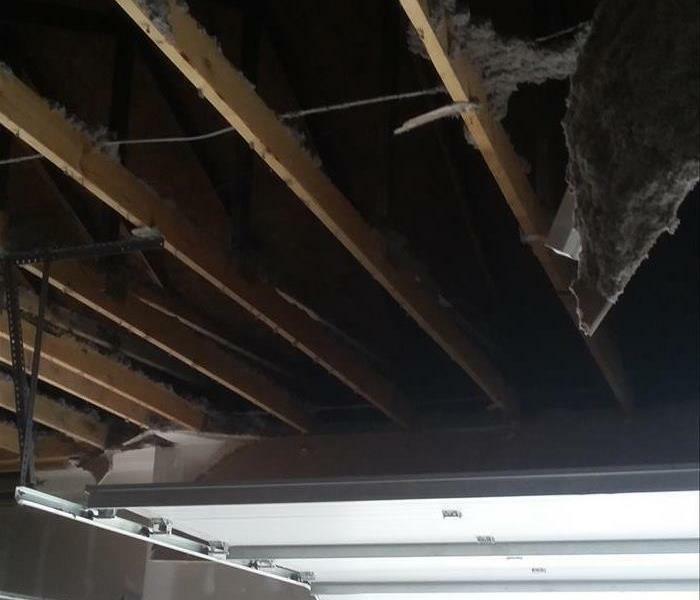 Severe storms can happen any time and you can become overwhelmed with the damages. SERVPRO can respond to your home and quickly begin clean up and protecting your content. They have professionally trained technicians for your storm restoration emergency. 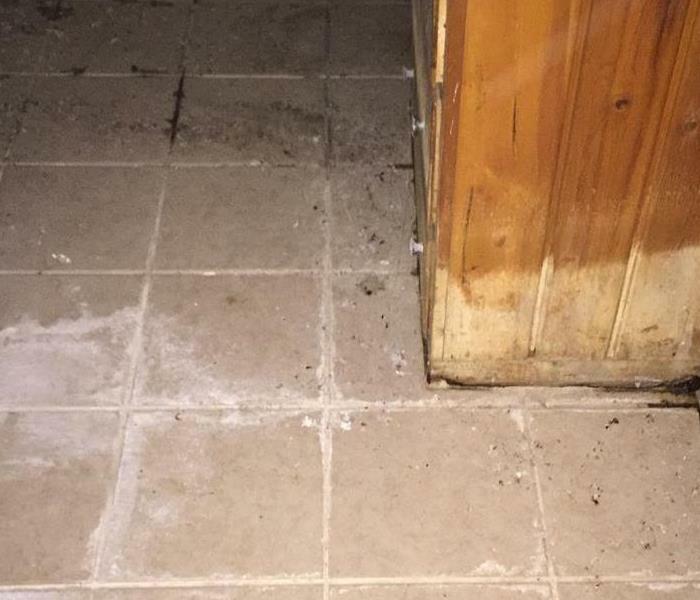 SERVPRO responded to this home with mold damage and quickly contained the mold to one area to keep from spreading. It is important to contain the area to keep from spreading to other rooms in your home or business. SERVPRO of Northwest St. Louis County can respond to any of your restoration emergencies. They responded to this kitchen after a water leak in the bathroom leaked down through the ceiling causing water damage. They quickly began extracting the water to prevent further damages. Have you seen our office? We are the premier 24/7 water and fire restoration company in St. Louis. If you have any questions, do not hesitate to reach out. Contact us at (314) 469-9000.